I downloaded the color map of Twylos. Its a real nice map. 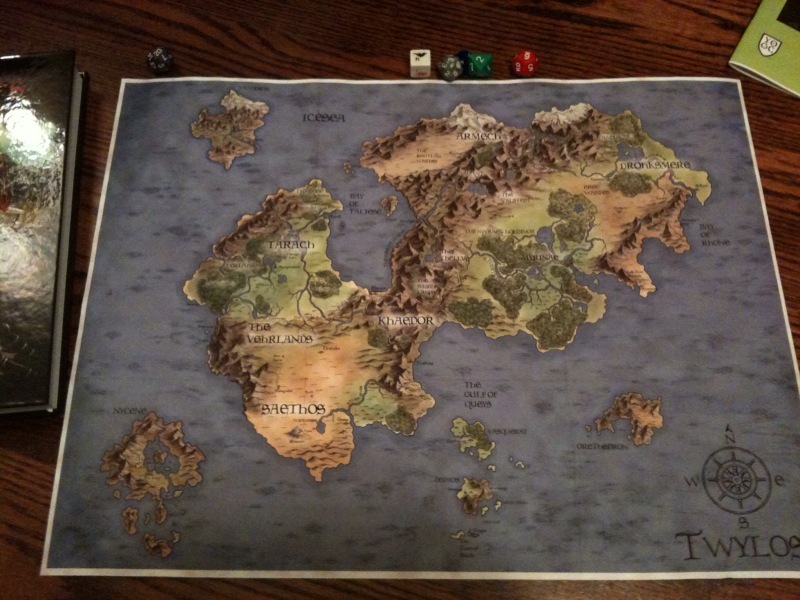 Are there any plans of putting out a larger poster sized map? Thanks, the artist who made it, Leo Lingas, is amazing. He did the cover of the book and several internal pieces also. No current plans to put out a poster, but that might be nice. Swill? Did you ever look into this? The GM is your friend. Actually, I had thought about it. If there's a modicum of interest, I'll look into making one available. Any requests as to format, size, material? having this thing printed at a local photo finishing place - or even at Sam's Club would only cost you like $20 for a poster size. Would this be a breach of copyright? or do you care about that? No, we don't care. But I was looking at an option where they are printed on canvas. I think they even have those options at photo finishing places. I'll be near one today at lunch. If I can stop in - I'll let you know. it isn't done in-store, it is sent out and takes about 2 weeks. damn... that's a lot more than the $20 for photo paper. Wow. No, I found cheaper than that. Thanks though! 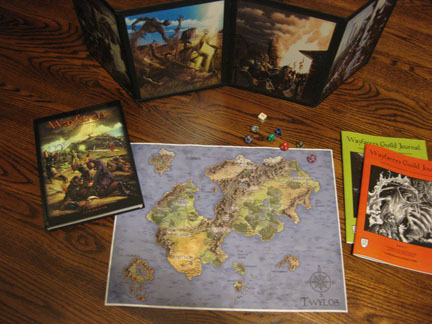 It looks like we can get a poster size of the Twylos map out for around $20. I'll put up some specifics soon. The canvas posters run near $100. I don't think we can stock those, but I will post a photo if/when I get one. Maybe we could take special orders. Twenty bucks sounds good. 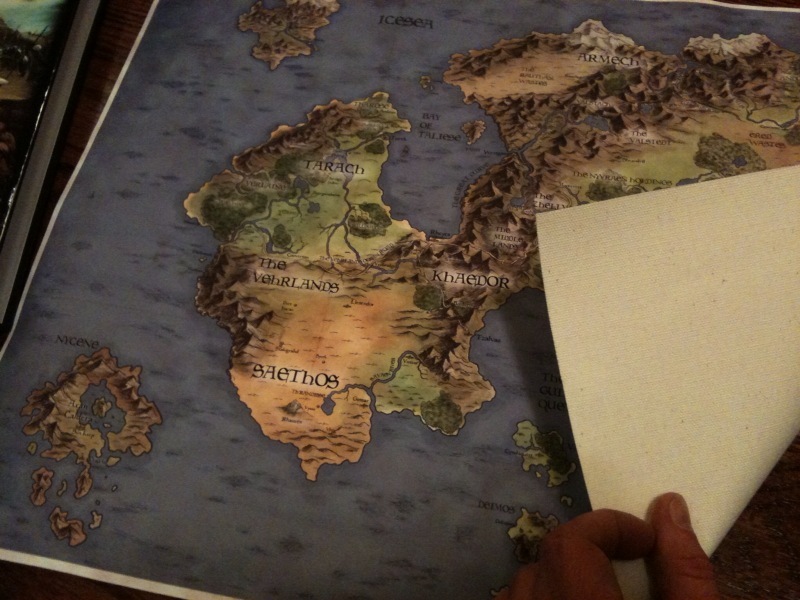 Is that for the color poster sized map? I would like to have one (poster/color) for our group. Others in the group may want one also. I will talk to Dartvaian and crew sunday. If the color map is more I would still want one if it is not too much. Look forward to seeing your specs. I suppose I'd have to get one too. So much better than the hand-drawn maps... those look like they were made by a grade skool student in comparison. 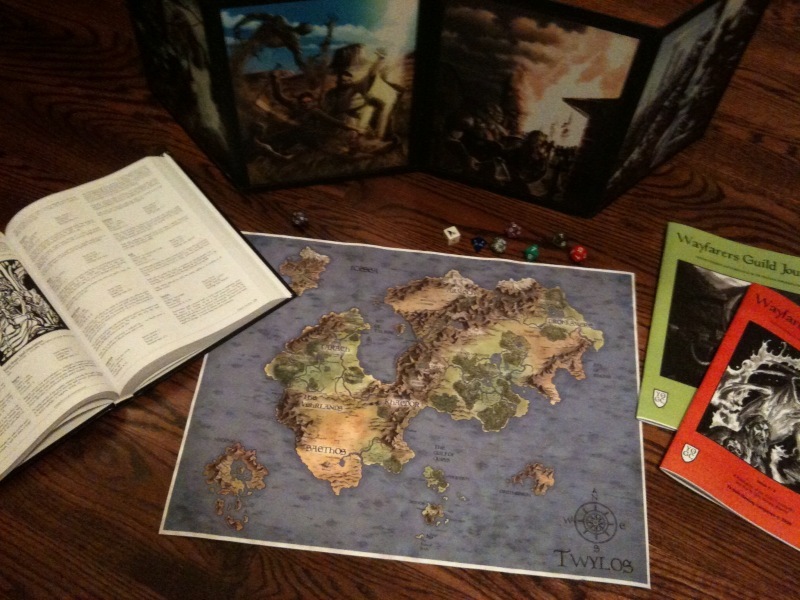 Update: I just put in an order for a proof print of the Map of Twylos. I'll put up a photo and some specs once it comes in. I should have it by the end of the week. There might be more than one option, but I am trying to go with color on canvas. It's not too difficult to run to your local copy shop and print off a poster-sized print. -I want something special, and I think I found a reasonable cost, if the quality is there. I hope it works. I'd like to use it in the game I'm running on the 15th. 1: It is canvas, and seems very durable/flexible. I creased it severely to no ill effect. 2. The color is nice and rich, and the smallest font readable. I was pleased with the quality all around. 3. It measures 19.5" x 15". I considered larger, but 36" x 24" will likely be $10-15 more, and this seems to fill the middle of most tables without getting into each persons' writing space. 4. I believe the price will be $25, but I have to go over that one more time before it is official. Here's some pics. Sorry, I am not a photographer. Once we settle on this, I will post some nicer pics with the announcement in the news thread. The first pic was with my camera, but the battery died immediately and the last 3 are with my phone. Sorry, I have shaky hands. It looks a bit washed out here. The colors are actually deeper than these pics suggest. Looks awesome! I want one.